Uruguayska 20, 1000 Prag, Tschechien. 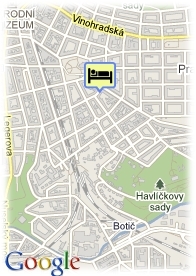 Hotel Trevi in Prague , a 4 star hotel, offers 27 comfortably equipped double or triple bedrooms. All functionally equipped with modern furniture, bathroom (shower or bath, WC), satellite television, telephone, room-safe and hair-dryer. 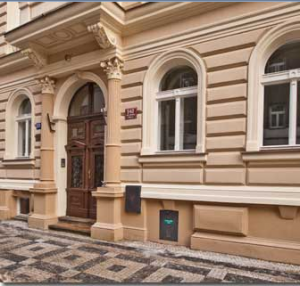 It is situated in the elegant residential area of Vinohrady in Prague 2.